Next generation radios require more power. Is your network ready? Today’s high performance remote radio heads (RRH) are consuming more power than ever to deliver the capacity and reliability customers has come to expect. This increased demand introduces new challenges in providing the correct voltage and power to the radio head. 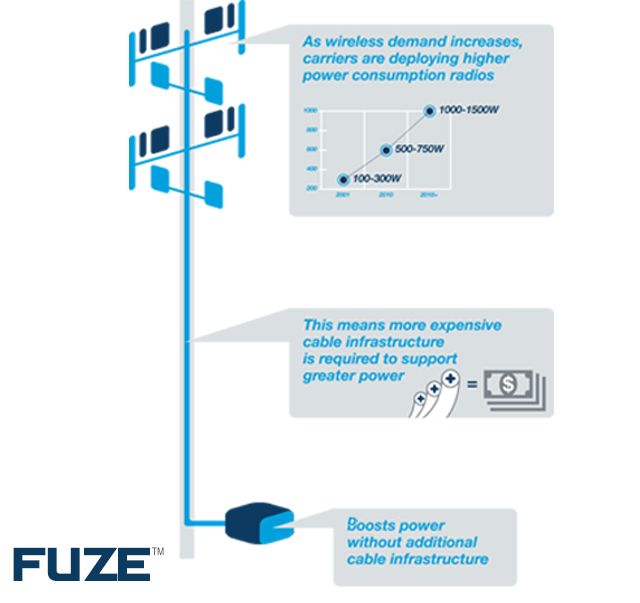 JMA Wireless PowerBoost uses innovative intelligence to monitor the radio power load and automatically adjust voltage to the radios, ensuring maximum efficiency during power delivery. 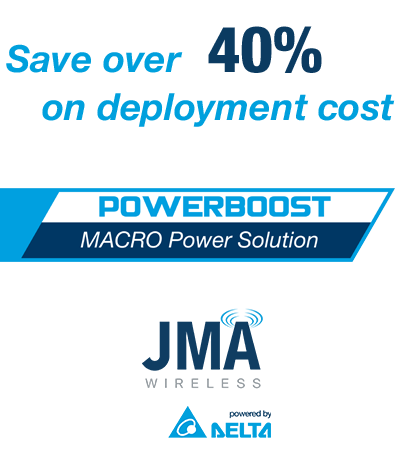 Save 40% per deployment with JMA Wireless PowerBoost Solution.